If you read my Realistic New Year's Resolutions post, you'll know that one of my biggest things is budgeting my money. You'll also know that I understand that I'm still going to buy things because I'm not perfect. I thought what might help is creating a list of priorities of things to buy in hopes that I'll stick to this list and not buy much more. I don't expect to buy all of these items right away, and a lot of it will depend on how many things I sell on Poshmark. I'd love to get all of these soon, but I also want to focus on saving money so we'll see. Instead of just buying whatever I want though, these are my priorities for when I feel like I can spare the money. I'm sure I've talked about this before, but I have the hardest time finding glasses that fit my weirdly small face. Alas, there is one instance where vintage items being smaller than seems possible actually works in my favor. I genuinely like my current glasses, but I've been on the hunt for more cat eye shapes and have had zero luck finding any pairs that would fit. You know those adorable Bonlook Keiko frames that a ton of girls rock? They would take up my entire face. 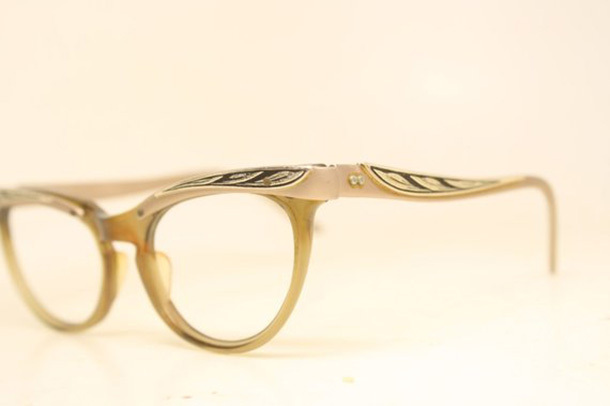 Because of that, I've decided that I'm going to go for a vintage pair and get lenses put in. It's a little daunting considering most Etsy shops don't have proper glasses measurements and don't take returns, so even though I've been looking for a while, I'm waiting until I find a pair that I feel comfortable buying. I've been eying Hearts and Found dresses for what feels like years (actually, I think it has been years), and I think if I stop buying a bunch of cheaper clothing items, I can justify splurging on this one. 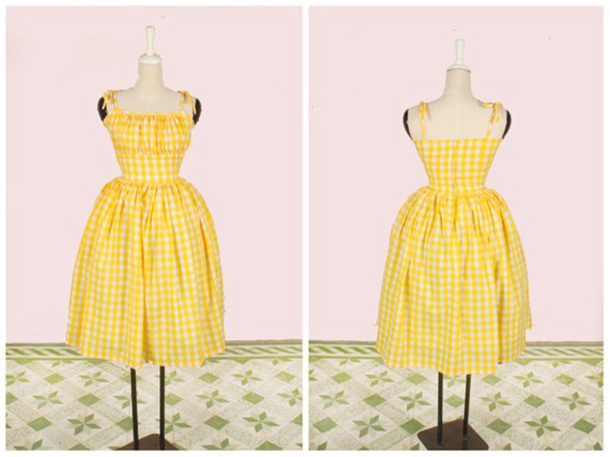 I'm not sure of the exact style yet, but I know that I want something gingham with a full skirt that's made to my measurements. For the first time in my life, I actually paid more than $10 on bras recently. I honestly loathe how expensive bras are so I've always been very adamant about only buying cheap ones...and I've suffered for it. I seriously was adjusting my bras all. damn. day. I've heard about ThirdLove a ton, so I finally decided to take a look and take their fit quiz during Black Friday/Cyber Monday. Oh my goodness. It's such a difference from the cheap Target and TJ Maxx ones I had been wearing. I got two, and I really want to invest in more. I used their after pay program, so I decided that once my first ones are paid off, I'll get one more. Another brand I've been staring at for too long. I keep telling myself I'm going to get one of their dresses, but money has held me back (or rather, the amount of money I spent during Black Friday/Cyber Monday sales did). I think their items are just so dang cute, and I'm definitely planning on adding one to my closet soon. For the longest time I've had one denim jacket that I thrifted, but I really don't like the style of it. I finally got a new one off of Poshmark a couple of months ago, but it ended up being way too big (don't you love when that happens?). After wearing cropped cardigans so much and realizing how much more flattering they are with my short waist, I've decided that I need to find a good cropped one that will work well with my dresses and high-waisted skirts. I'm still on the hunt for one I actually like though (hence why there's no photo for this one). I probably should have added this to my list of realistic resolutions, but I want to start taking better care of my teeth this year too. I suppose you can call 2019 "The Year I Finally Stopped Spending All of my Money on Clothes and Learned to Be an Adult". Or at least that's my goal. 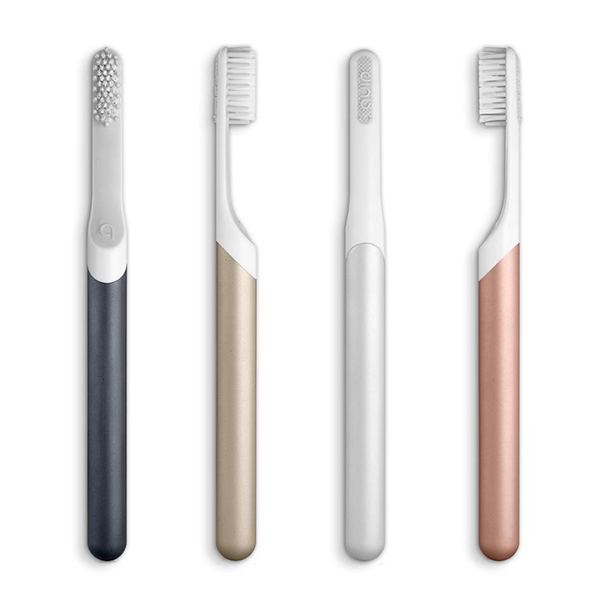 I'm a sucker for subscription services, and I'm eyeing something like Quip, especially because it's so affordable compared to most electric toothbrushes. It looks to actually be good from what I've read so far, but I still want to do a little bit more research. If anyone has any suggestions/insights, I'd love to hear them! Oooh yes I want to find vintage glasses as well. I wish I could wear giant cute glasses but they just overwhelm me! Also... hearts and found... swoon! 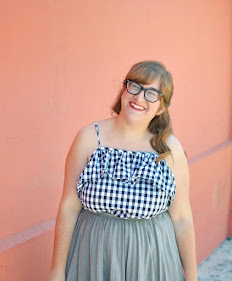 I've been eyeing the ThirdLove bras; I really need to buy a bra that fits that I love. I have one that I'm ok with but it's not my favorite, and... yep. I might check them out! Oh! I'm glad to hear your review of ThirdLove because I think we have similar body types, & I wasn't sure how theirs would fit me. Maybe I'll give them a try now!